The holiday season is coming upon us and retailers are out there working and fiddling around new ways to attract new customers, while continuing to engage existing ones. From babies to adults, it&apos;s a $4.3 trillion industry which experienced a 3.5% growth last year. It&apos;s a struggle and a battle to keep customers in enclosed malls, when trends show a shifting towards outdoor “lifestyle centers.” Customers shopping at physical retail stores in this day and age want to see something exclusive and worth their time and effort to see in person. It&apos;s apparent that major shopping centers and malls are actively introducing a contemporary creativity while leaving traditional values intact. Stores like Walmart have already started the discounts on special holiday-edition items and amenities to suit the holiday. 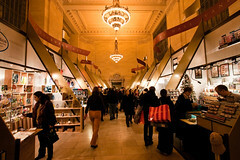 They made efforts to improve the shopping experience before the holidays with the right products in stock at low prices. In November, Walmart kicked off eight weeks of deep saving and holiday “retailtainment.” They promised Rollbacks that last at least 90 days on everything from electronics to baking essentials. There&apos;s a free, easy pickup with new mobile check-in, which would allow faster pick-up times. Customers for the first time are able to scan and shop with wish lists. Additionally, based on data and insights from adults and kids, there is a top trends and products page which is meant to help shoppers find what&apos;s popular today. One strategy Walmart and many other retailers are using is by improving its brick and mortar stores by integrating mobile technology to the shopping experience. Stores like Walmart, Macy&apos;s and Bass Pro Shops will also cater to traditional in-store shopping by dispatching Santa to their stores in December. This is one advantage Bricks &apos;n Mortar stores will have over major online retailers such as Amazon, to get people into stores as early and as often as possible this season. In the case of Walmart, just 3% of their sales are through e-commerce transactions, while the balance is comes from more than 3,600 brick and mortar stores and 650 Sam&apos;s Club warehouse stores in the U.S. The question that arises is whether or not the guy in that big red suit merely entertains customers, or does he actually draw them in the door. According to Jesse Tron, spokesperson for the International Council of Shopping Centers, “In terms of driving more traffic? Absolutely.” Furthermore, the ICSC&apos;s recently released consumer forecast for the 2015 holiday shopping season found that 50 percent of parents with kids aged 13 or younger plan to make a trip to a shopping center for the sole purpose of visiting Santa Claus. The tradition of getting your photo taken with Santa is nothing new and has been a prominent family activity throughout US history and tradition. 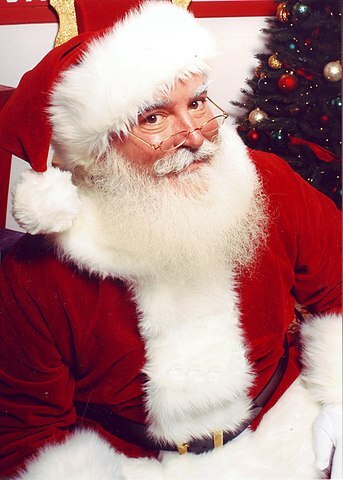 There has been controversy at malls such as the Westchester Mall, which made an effort to update Santa with “uniquely modern and interactive Santa experience featuring cutting edge artistic design.” However, there was much backlash from active members of the public who boycotted the new designs of glaciers and “snow caves.” As a result, the mall owner, Simon Property Group listened to customer feedback and decided to replace the new designs with traditional dÃ©cor. It is crucial to understand consumers voicing their concerns and needs, since holiday spending is expected to be comparable to last year with a rise of 3.7 percent and consumers planning to spend an average of $805, compared to $802 spent last year. In more recent news, although total 2015 Black Friday sales increased 3%, in-store sales were spotty since there were no great rushes for deals. As mentioned before, stores like Walmart started their Black Friday deals earlier and prominently online this year. Many consumers were fed up with limited quantities that went out of stock at physical retail stores by early afternoon on Friday. The weekend of Black Friday didn&apos;t have much momentum either, since stores were advertising sales for Cyber Monday. Cyber Monday wasn&apos;t immune to any troubles either for the consumer, since it was difficult to score a really worthy deal when popular items were instantly sold-out and when site-wide blackouts were a common occurrence, which didn&apos;t help the cause, due to flooded servers. Major retailers are making the effort to revive their physical stores to enhance the shopper&apos;s experience. This is part of the effort to combat major online retailers with something exclusive that they can&apos;t offer to the shopper with whatever shipping promotions or low prices they may have. The tradition of going into a physical store and actually picking out a gift for a loved one is something that won&apos;t die away anytime soon. When it comes to shopping during the holidays, it&apos;s still centered on the tradition of care and thoughtfulness for family and friends, instead of simply clicking your way to gift giving. It comes down to the shopping centers to continue innovating, yet maintain tradition and keep the true spirit of sharing the holidays.